Drake’s new album Views, reviewed from the 6. Drake has said that Views is meant to cycle through a Toronto winter to summer and back to winter, which may explain why much of the album feels mired in a midtempo snowbank. Photo illustration by Lisa Larson-Walker. Photos by Grant Lamos IV/Getty Images, Ricelife/Flickr CC. “Lately I just feel so out of character/ The paranoia can start to turn into arrogance,” Drake raps on the culminating title track on his new album Views. At which point, anyone who’s been on this both bumpin’ and bumpy ride for more than an hour can only eye-roll: “Really, Drake? You don’t say.” Aubrey Graham’s graduation from his earlier distinctly Canadian passive aggression to more straight-up aggression is a few years old by now. It’s been a boon in helping open up his vocal sound (alongside his voice lessons) but not always as beneficial to his songs’ emotional nuances. Here in Toronto, fans spent a couple of years anticipating that Views From the 6 (with a cover featuring Drake perched on the ledge of the CN Tower like a kid in a high chair) was going to be his ultimate hometown love letter. Now, even with the title shortened to Views, we still get to relish plentiful references to local landmarks and personalities. But the missive turns out to be much more poison-penned. The rap sheet of unnamed Drake offenders includes old friends, current and former lovers, business associates, younger T-Dot hip-hop artists who’ve had the audacity to “come for the Don,” plus, obviously, Meek Mill of last summer’s ghostwriting-allegations beef. 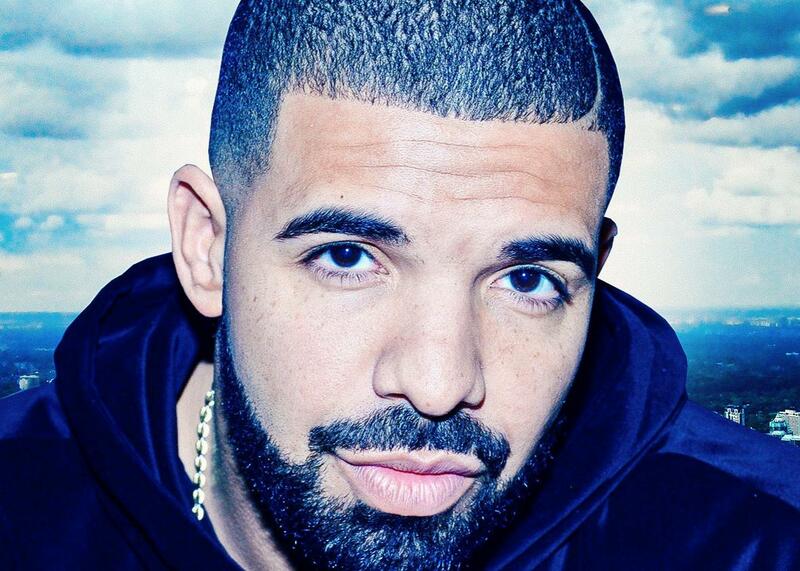 “Everybody that I met on the way tries to get in the way,” he sings on the opening, widescreen-orchestral-soundtrack–style production “Keep the Family Close,” which sets the general bitchin’ tone—both for Drake’s complaining and for the often fabulous sonic settings by governing producer Noah “40” Shebib and studio confrères including Kanye West, Boi-1da, Jordan Ullman, Nineteen85, and relative newcomer Maneesh. Of course, “bad attitude” is hardly the worst accusation you can make about a rapper, and Drake’s ceremonial airing of grievances doesn’t spoil Views’ many high points, which I’ll turn to in a minute. But the double trouble here comes first in relation to the other major black pop albums of 2016 and then in the context of Drake’s own career. Perhaps due to Views’ long gestation, this record ends up feeling out of step with all that serious playfulness around (and even against) the idea of the pop album. It’s a bit stodgy and also, in its frequent entitled pettiness (particularly as directed at women), pretty conspicuously unwoke. That could be OK, since few listeners really look to him as a source for broad social insights as opposed to dance jams and emo jags. But Drake himself has already made some much more agile maneuvers. The officially unofficial album/mixtape If You’re Reading This It’s Too Late gave us a Drake whose mind was racing faster than ever, confidently converting his carps into catchphrases with singular dexterity. He revived the art of the diss track in the Meek Mill battle more convincingly than expected last summer, and then came the ridiculously charming video for “Hotline Bling,” which made him seem like an even more witting and effective manipulator of his own image and his own absurdities than ever. When Views ends with “Bling” as a “bonus track,” it reads like a sad comeuppance to most of what’s come before. The many nods to dancehall, including some pseudo-patois on Drake’s part, as well as guest spots from Beenie Man and Popcaan, provide some of the most potent Toronto flavors here, with the city’s large Jamaican and other Caribbean-descended populations—members of whom were Drake’s friends and neighbors growing up. In a similar vein, the bit about flipping “the 6” to “a 9” (on the song “9”) is less a Hendrix reference than, I think, an acknowledgement that some residents felt left out by Drake’s coinage of “the 6” as a municipal nickname because many communities of color aren’t within the central 416 area code but the suburban 905. So not all the Toronto stuff is sniping. And while there’s some dismayingly corny bars in the final-but-for-“Hotline” title track, it’s set up by a fantastic sample from the Detroit gospel group the Winans’ “The Question Is” (also used in a different form in the advance nonalbum track “Summer Sixteen”)—more evidence of the way 40 and crew often carry Drake through, even when he’s not on all cylinders. To get to most of that good stuff, though you have to power through (or, perhaps more likely, skip) a major pacing obstacle. In his interview with Beats 1 DJ Zane Lowe the night the album dropped last week, Drake said that Views is meant to cycle through a Toronto winter to summer and back to winter again. For those who experience it, Toronto winter tends to mean months of light-deprived indoor confinement that can seem never-ending, which I suppose accounts for why almost all of the first seven (seven!) tracks on Views seem like they’re mired in a midtempo snowbank. There’s worthwhile music in there. But cumulatively, you just start picturing Drake huddled up by candlelight in a puffy parka in his condo den, drawing up his enemies list and, as he says in “U With Me?”, sending group DMs to all his exes (a pun because that track is built around a DMX sample). That phase ends with to me the dullest track on the album, “Redemption,” after which the sun begins to peek out. The fallout is that despite all the great production, as a full listening experience—based on the first few days’ listening, so take this with a scoop of Toronto road salt—Views comes off as a step backward not only from If You’re Reading This but from the broader, ears-first pleasure of 2013’s Nothing Was the Same. The pacing and the surplus songs (e.g., the Future feature “Grammys,” redundant after last year’s shared mixtape What a Time to Be Alive) pile more weight on the self-seriousness that makes Views feel like much ado about not enough. None of that will be an issue, of course, if you subtract all claims that the album’s “already a classic” (as Drake proclaims on “Hype”) and make your own edit, the same way you’re encouraged to produce remakes of the cover with Aubrey perched on the unlikely objects of your choice. A few, maybe quite a few, of these songs will be in heavy rotation on our collective playlists for months ahead. (“One Dance” already seems to be on its way to the top of the charts.) But while he’s one of the most influential rappers of the decade, Drake may not be someone from whom ever to expect masterpieces. In fact, that’s one of his better qualities. He’s greater when he’s goofier, even in his petulant way, warmer to his own shortcomings and more intimately human and eye to eye (or @reply to @reply) with the listener. There are moments like that on Views, too, whenever he namechecks his mom or the Tahitian Treat fruit soda he used to scarf from the corner store as a kid or extends his kidding-around contest with Kanye (begun on “Summer Sixteen”) about who’s got the biggest swimming pool. In those flashes, we’re getting not the “6 God” but the 6 Guy, and that’s the hometown boy I love best.